The Choir of Man will bring their unique singing and dancing pub show to the Bankhead Theater for an afternoon of sheer fun on Sunday, Feb. 17 as part of their inaugural North American tour. Described as “the ultimate feel-good show,” The Choir of Man is set in a real working pub on stage and features nine multitalented “handsome blokes.” They will sing everything from pub tunes, familiar folks music and Broadway songs to classic rock and contemporary hits, all while dancing, stomping, and pulling pints of Livermore craft beers audience members. The Choir of Man is the latest show from producers Nic Doodson and Andrew Kay, the team behind the “Soweto Gospel Choir” and the award-winning international production of “North by Northwest.” The show celebrates music that has wide appeal, including songs by Adele, Queen, Paul Simon, Katy Perry, Red Hot Chili Peppers, and more. The cast brings together world-class tap dancers, acrobats, singers, instrumentalists, and poets. After touring extensively in the UK and Australia, The Choir of Man has been highly anticipated in the U.S. With its combination of smooth vocal harmonies, high-energy dance, and foot-stomping choreography, not to mention the genuine bar onstage, The Choir of man is an infectious and irresistible combination of party, concert, and pint-filled good time. Hops and Sessions, Livermore’s only self-pour tap room which is located directly across First Street from the Bankhead Theater, has selected the local craft beers that will be served free on stage. The same beers will be available for purchase in the lobby as well. 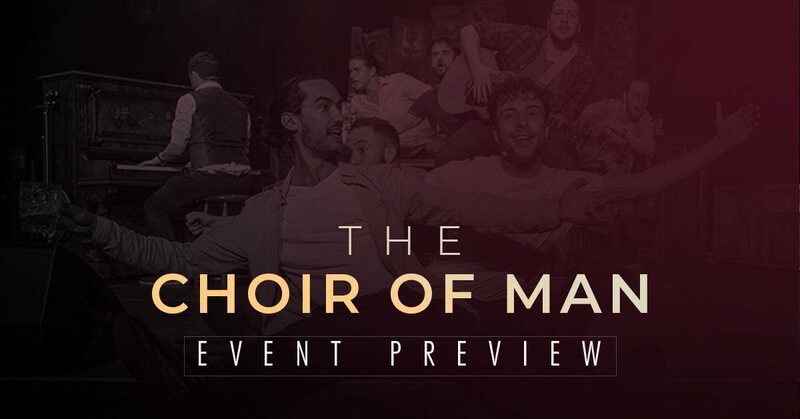 The Choir of Man is one of the most unique shows offered at the Bankhead this season, as well as the first of several that combine musical, visual, and theatrical elements on stage. In March, Cirque Eloize “Saloon” by the renowned Canadian-based company will take audiences on a thrilling exploration of the Wild West with breathtaking acrobatic comedy and live music featuring the timeless tunes of Johnny Cash and Patsy Cline. In April, Mayumana “Currents” will merge the compelling rhythms with dramatic movement, light, and visual effects in a reflection on the historical battle between Thomas Edison and Nikola Tesla on their quest for world energy sources. Tickets for these as well as other performances in the Bankhead Presents series are on sale now at the LVPAC website or by calling 925-373-6800. The Livermore Valley Performing Arts Center is excited for The Choir of Man on Sunday, Feb. 17 at 3 p.m. Please note that LVPAC offers student and military tickets to nearly every performance at the Bankhead. We ask that you contact the box office should you need student, military, or ADA tickets. We hope to see you for this incredible event!